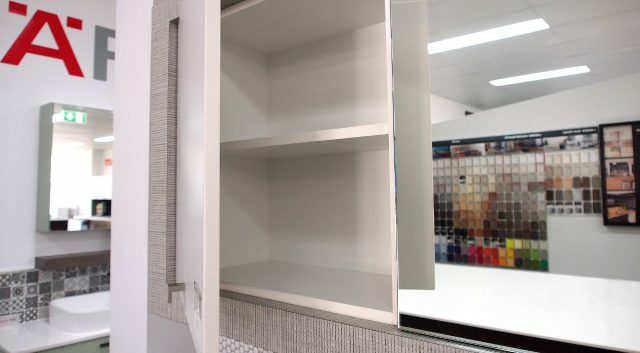 Throwing in a pop of colour never goes unnoticed and is different than your basic white vanity. 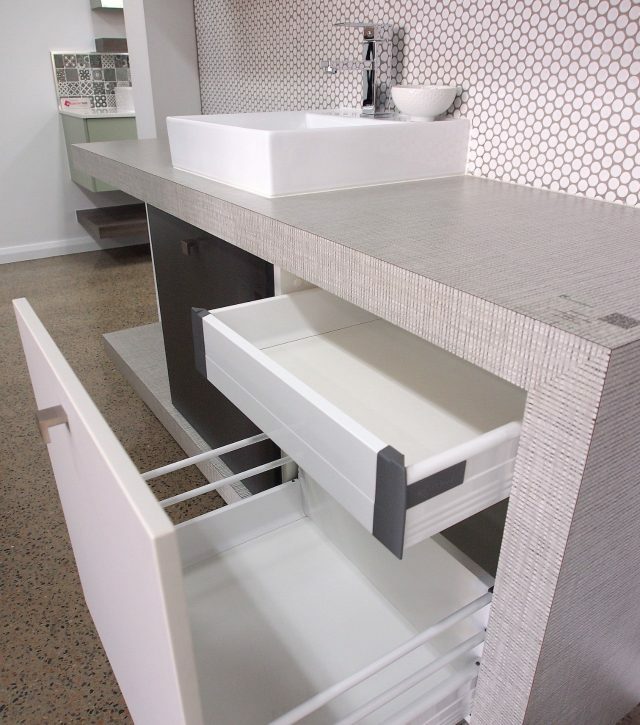 A large vanity like this has all the functional needs including both door and drawer storage, open shelving to store everyday items and the practicality of a mirrored door. 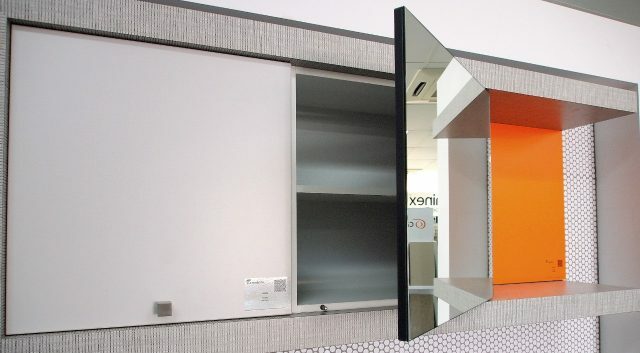 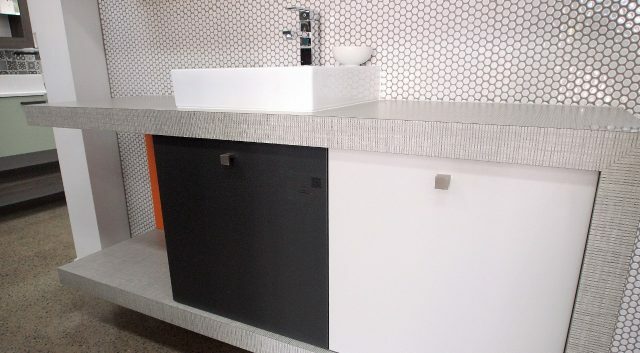 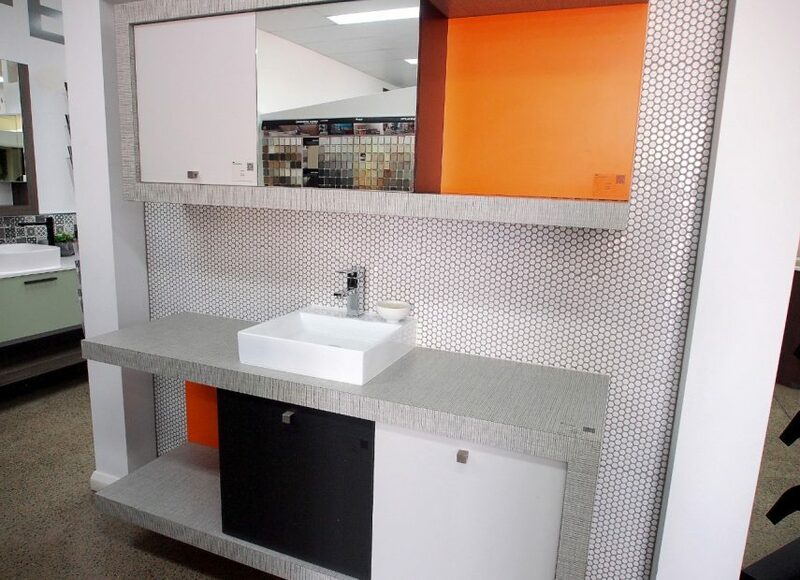 This vanity is currently displayed in our Townsville showroom and is actually for sale! 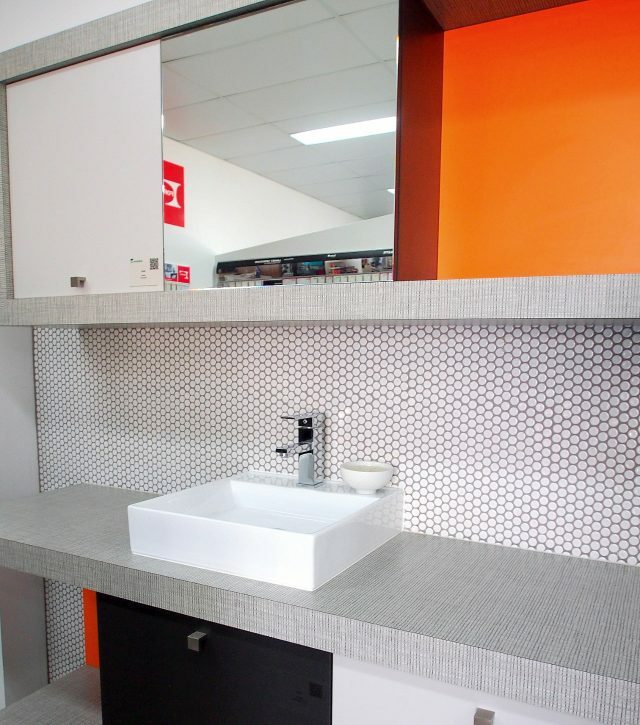 If you are interested, give us a call or visit the Townsville showroom to take a closer look. 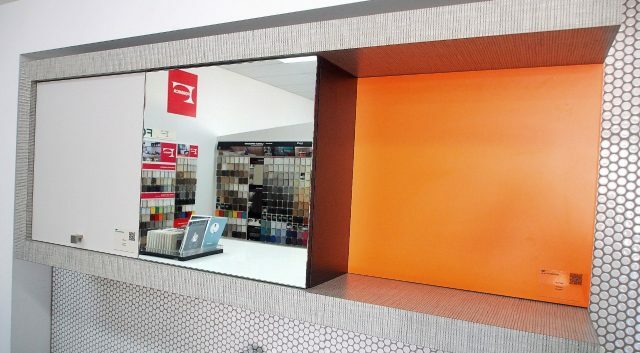 We are open Monday-Friday from 8:30am-5pm and also Saturday morning from 9am-12pm.